As they’re attached to ultra-thin wires, the LEDs seem to float in the dark. Only the dainty lights are visible. Solar powered. With twilight sensor. Weatherproof, suitable for outdoor use, easy to clean and easy to store. Using solar energy, 90 tiny warm white LEDs produce magical fireworks. 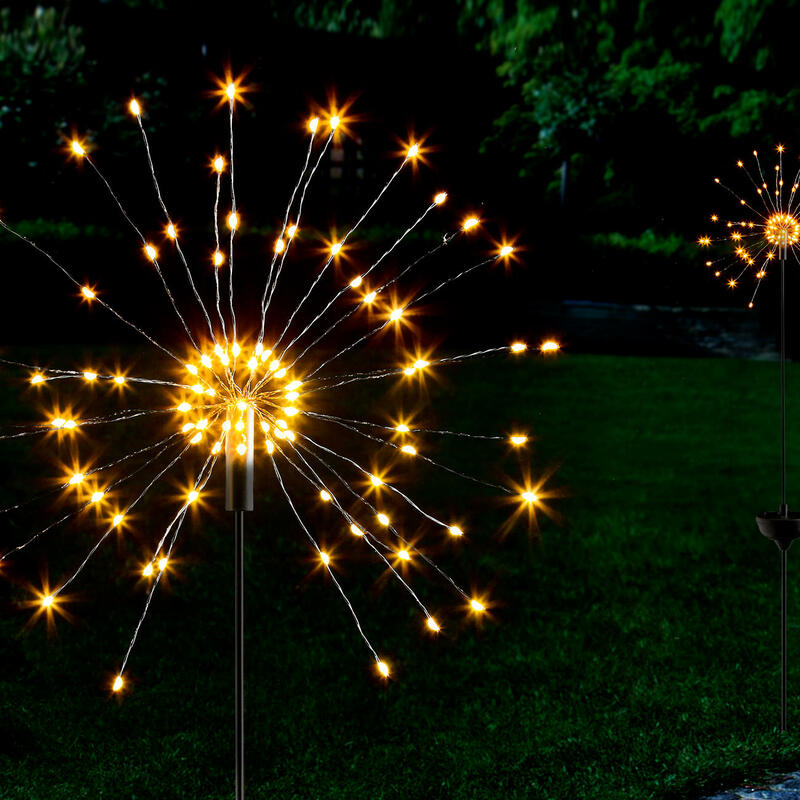 With this giant sparkler you can light up your garden planters with countless tiny lights for up to 8 hours. This creates a captivating effect that is perfect for parties too. A beautifully bewitching glow over the rose bed, the lawn, at the edge of the pond or along the garden path. 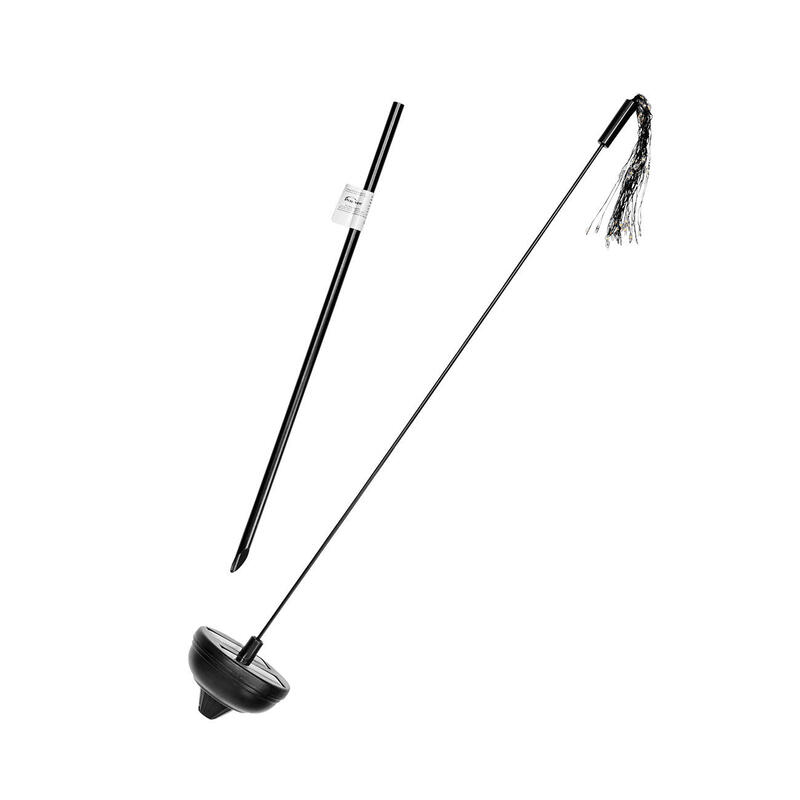 The slim, yet sturdy black steel (5mm diameter) wires make the lights stand out beautifully. 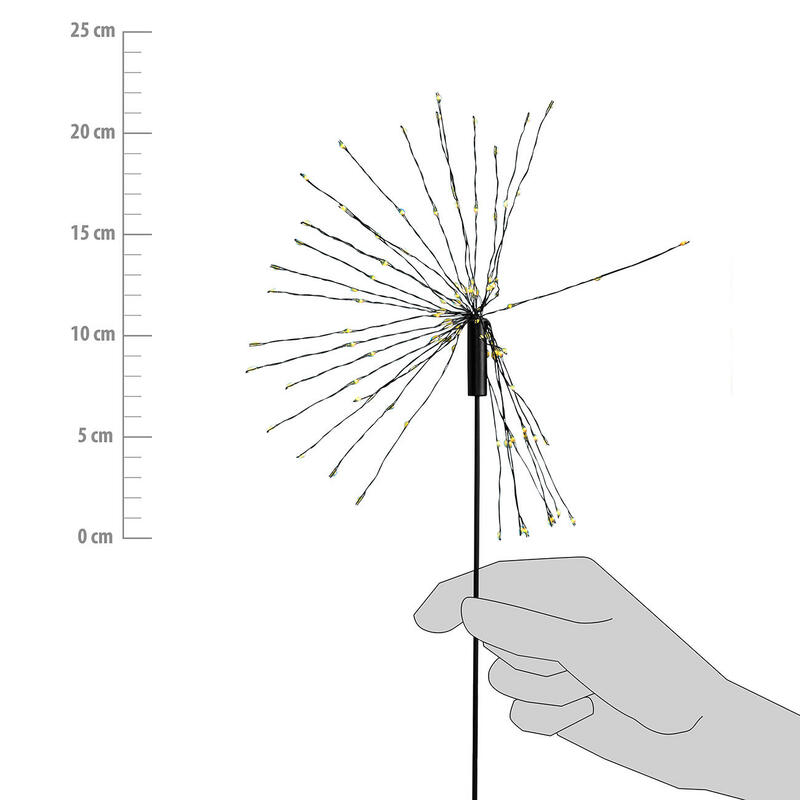 A ground spike ensures that it stands steadily. Bend the wires into a beam-shaped light, or a approx. 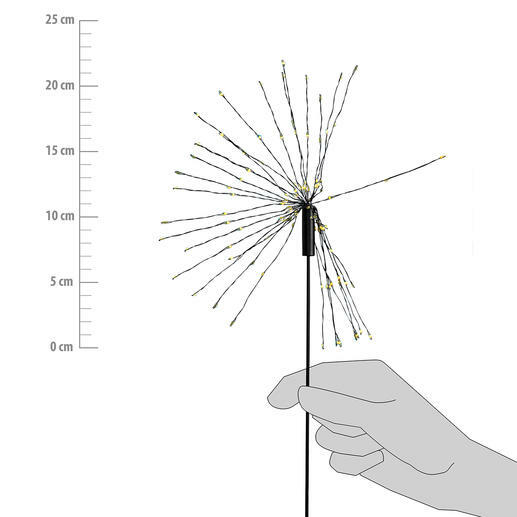 22cm (8.6") diameter star. Bundle the wires into a hemisphere to create another great lighting effect. The solar sparkler can be placed anywhere – independent of a power supply. Without annoying cables, and without tripping hazards. Even battery replacements are eliminated. The NiMH battery (600mAh/1.2V) stores solar energy for up to 8 hours. A sensor turns on the 90 tiny LEDs at nightfall to magically light up the night. All parts are resistant to rain, snow and frost and are easy to wipe clean with a soft cloth. 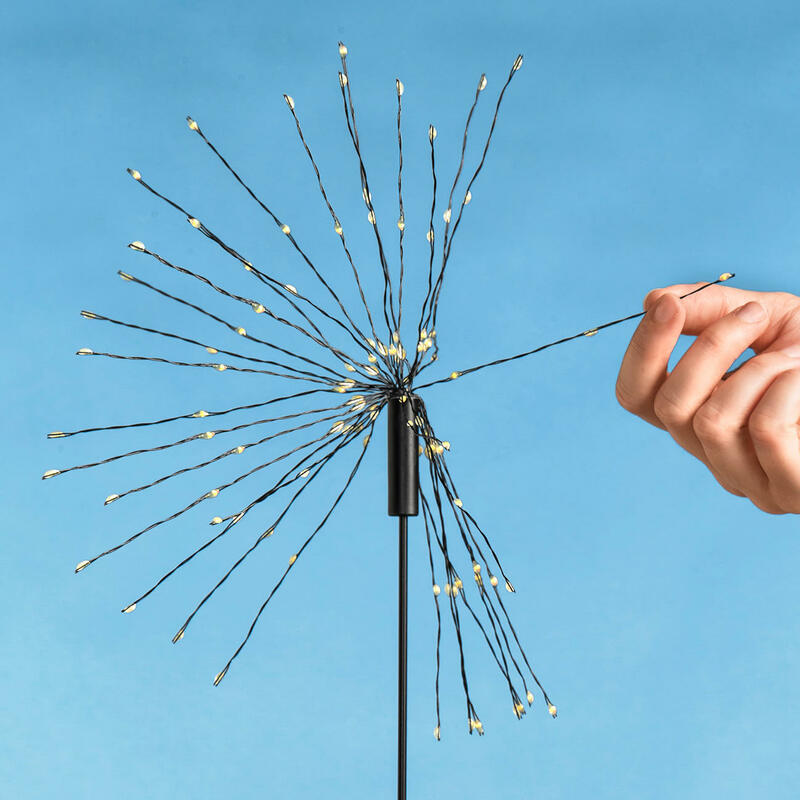 To store, bundle up the light wires to make the solar sparkler fit into even the smallest space. Size approx. 100cm (39.3") H. Weight approx. 135g (4.6 oz).